Much like peanut butter and jelly, cookies and creams, Batman and Robin, we just can’t deny that the best things do come in pairs, like the perfect blend of Juanita and Sher. 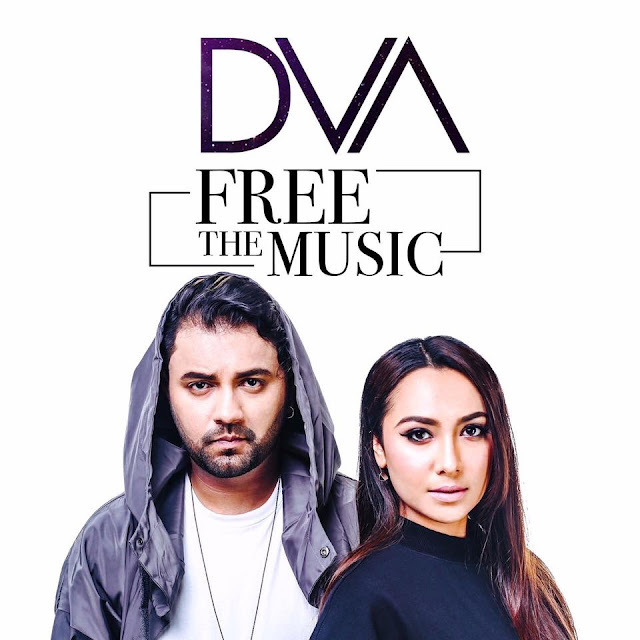 After countless covers and teasing their fans with their new music, the talented duo, DVA (pronounced “dua”) finally announces the release of their first ever single, ‘Free the Music’, championing their foray into the arts and being free to explore their musical passion. “It’s a representation of being “free” to be honest – fitting the title of the single, Free the Music,” said Sher and Juanita. The beautiful mix of funk and pop, ‘Free the Music’ is produced by Farique Nadzir. An explosion of melodies, the song draws you in with its funk-infused guitar riffs and once you’re immerse in its verse, the track takes you up to its catchy singalong anthem chorus. The music video was shot by Pinang Films, which DVA had previously worked with for their cover videos. The finished video is a story about two strangers in the big city, connecting with each other through DVA’s music. Highlighting the iconic locations around Kuala Lumpur, the music video also features some familiar faces such as Darren Teh from An Honest Mistake and Sher’s own uncle Ahmad. Individually hailed from contrasting music backgrounds; she’s a girly girl who’s into soulful power ballads, indie pop and literally anything that makes you happy, while he’s a dirty rocker that drive around blasting sounds of Led Zeppelin and Guns and Roses from his car. “I love Juanita to bits, we were college mates, always knew we both wanted to do something musically, but nothing worked out until we started working and we thought why not, let’s just release a cover and see how it goes. Thank God for that! Couldn’t ask for a better partner,” he adds. De Fam presents… #SUPERGIRLS !